Best known as an opera singer, Jessye Norman has also lent her rich, dramatic, and powerful voice to recordings and recitals of spirituals and hymns– including a particularly compelling version of “Amazing Grace” and Christmas carols, in addition to recording jazz. She has never limited herself to any one musical genre, and her voice can widely range from contralto to high soprano. Norman was born on September 15, 1945 in Augusta, Georgia, the child of Silas Norman, an insurance broker, and Janie Norman, a schoolteacher. She began singing in church choirs as a young child, and was taking piano lessons by age eight. 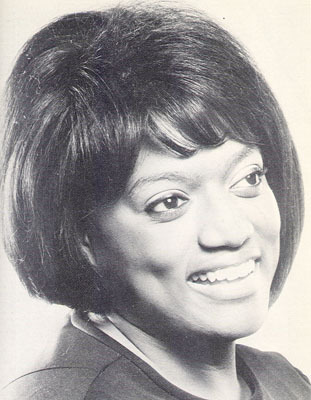 Her singing enabled her to attend Howard University on a full scholarship, where she studied with voice teacher Carolyn Grant, and she graduated in 1967. Winning first prize at an international music competition in Germany in 1968 propelled her into international recognition, and by 1972 she had performed her triumphal debut in the title role of Verdi’s Aida at the legendary La Scala Opera House in Milan, Italy. During her lengthy career, Norman has performed throughout the world, including Russia and South America as well as many European countries. She debuted at the Metropolitan Opera in New York in 1983. Although a Democrat, she accepted the invitation to sing at the inauguration of President Reagan in 1985, singing the folk song “Simple Gifts.” She was chosen to sing at the “Tribute of Light” memorial ceremony in New York City in honor of those who died in the World Trade Center on September 11, 2001. Norman has received numerous honorary doctorates, and was the recipient of the Kennedy Center Honor in 1997. Her vibrant, emotion-filled singing and commanding stage presence, as well as her reputation for an intellectual grasp of the music she sings, have earned her world-wide acclaim. Jessie Carney Smith, “Jessye Norman,” Notable Black American Women (Detroit: Gale, 1992); http://www.notablebiographies.com/ .